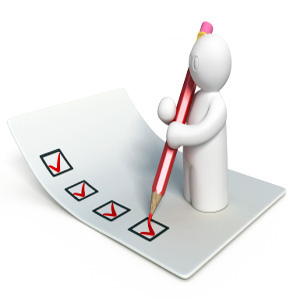 Ofsted introduced specific e-safety inspection criteria in September 2012. However, 4 years later, some schools are still failing their Ofsted inspections due, in part, to the lack of e-safety and safeguarding training for staff. What is Ofsted looking for? "Many teachers are not sufficiently trained to recognise indicators of risk or prepare pupils to stay safe." "...staff do not have the information and training that enable them to meet the varying needs of the pupils." "The manager and some staff do not have an up-to-date knowledge of safeguarding issues in order to effectively support children's welfare"
It is no doubt disappointing that these same schools are receiving good (and outstanding) reports for the quality of their teaching practices. However, while the lack of staff training was only one of the reasons why these schools have been rated inadequate, it can't be overlooked. We would love to know your thoughts on the Ofsted requirements for staff training, the pressure it puts on school resources and how this impacts on the school as a whole. Please use the comments section below. Making the decision to promote your school through social media is a huge step. With the protection and safeguarding of students at the forefront of their minds, many school leaders worry about the risks. But the benefits of using social media to promote your school and engage with stakeholders – parents, students, teachers, governors and the local community – can far outweigh the risks. In many instances, these risks can be easily mitigated with effective forward planning. This downloadable PDF guide from the digital strategists and educators at Jonny Ross Consultancy gives the top ten tips for schools on using social media for promotion, communication and engagement. It includes advice on setting up social media accounts, managing risks through forward planning and setting out clear guidance policies, and running campaigns to promote your school and engage with stakeholders. For more free advice on using social media in schools, visit the JRC blog and search for “schools”. Before we delve into a debate on the opportunities and risks of social media in education, let me share with you an example of how just one tweet paid for a school’s entire annual marketing budget. John Buskell is a social media expert who manages a Twitter account for a senior high school in Sweden. The school uses social media to engage with kids from nearby junior highs before they move up to seniors. Buskell set up Twitter alerts for mentions about the local junior highs, so he was notified when a girl tweeted “I hate Engelska Skolan junior high”. He replied to the tweet on behalf of the high school with a “Hang in there.” The girl tweeted back, “Wow, you’re on Twitter?” and she started checking out the school. She came along to the open house and he talked to her, as part of the marketing he was doing for the school. The girl ended up choosing the school for her three-year A-level program. As each student brings from the local government around £9000 (equivalent) per year, that one tweet effectively paid for the school’s marketing budget that year. When I spoke at the AMDIS conference on the use of social media in schools, I asked delegates to tell me about their concerns. Negative comments, legal compliance, hacking and cyber bullying all came up as potential risks that people were concerned about. But, like school trips, social media offers hugely valuable learning opportunities and experiences. Avoidance doesn’t remove the risks (kids will try things out anyway), it just means young people don’t learn to manage risks online, and you don’t get chance to influence the outcomes. Like school trips, risks can be mitigated to either reduce the chance of them happening or to reduce their impact. Read more about managing online risks in schools here. I strongly believe (and this is supported by the many success stories) that there are huge potential benefits to schools in engaging with social media, and these far outweigh any risks. What are the benefits of using social media in schools? Over half of employers now screen candidates on social media [research by CareerBuilder], and many young people are missing out on jobs because of inappropriate content about themselves online. By educating students on the appropriate use of social media, you can increase their employment prospects. This includes explaining privacy settings for different platforms, what they should never share on social media, and what they can do to show their suitability for a role, e.g. writing a blog on their chosen topic. Without interest from parents and students within the catchment area, schools would cease to exist. Local community engagement is vital. Students often make decisions about college or sixth form themselves, and social media can be the perfect way to reach them – and potential new students. For example, if you send out a tweet that is then favourited by one of your followers, you will then automatically become visible to all of their followers, and so on. 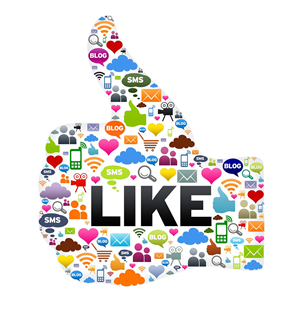 Social media engagement therefore increases your visibility (locally and nationally) and exposes you new audiences. Social media allows news, information and updates to be quickly and cost effectively broadcast to both parents and students. For example: “the school is closed due to bad weather” can be sent out as one message to thousands of people, saving the time and the expense of letters and phone calls. Social media allows schools to communicate in a much more efficient, effective and time sensitive manner. By having a profile on different social media platforms, stakeholders can communicate with your school whenever, wherever and however best suits them. Many schools cite fear of negative comments and reputation damage as a reason to avoid social media. But people will always talk about you online whether you’re there or not. So by being “in the room”, you can influence the outcome of those conversations positively. You can set up alerts on social media so you are notified when people talk about you online, giving you the opportunity to correct misinformation and “nip in the bud” any negative discussions. The only way to manage your online reputation is to have an online presence. Having an online profile that parents, teachers and students can communicate with gives you the opportunity to improve relations and show that you can deal with issues quickly and proactively. Which social media platform should we be on? This is a common question we are asked when working with schools on their social media presence. Choosing the right platform(s) and sharing the right kind of content can help you effectively target different stakeholder groups for better results. The platforms you decide to use should depend on who you want to engage with, and where those people are. For example, you could use Facebook to engage with parents (and share information about school news and successes) and for business engagement (and share information about venue hire and sponsorship opportunities). As a general rule of thumb, it is much better to create a profile on one or two platforms and ensure that communication and engagement is regular and constant than to create four or five platforms and quickly realise that you do not have the capacity to maintain such platforms. If this blog post has interested you, then make sure you keep your eyes peeled for our FREE 'Top 10 tips on how to use social media for schools' e-guide. Whether you are a headmaster, a governor, a teacher or even a parent, this downloadable PDF document will provide you with 10 simple ways to use social media in order to improve your school's visibility and credibility.